Oh wait. It absolutely is. Global food waste is leaving a 3.3 gigatonne carbon footprint. To put that into perspective, if food waste were a country it would be the 3rd largest emitter of greenhouse gases (after China & the USA). But there’s hope - since over half of all food waste takes place in the home, you can actually make a difference by making a few simple changes to your approach to food preparation. With the right advice and a few helpful kitchen appliances, saving the world is simple. When you notice your fruit or veg is about to reach the point of no return, don’t panic! Pop it in the freezer and save it for a smoothie or soup. 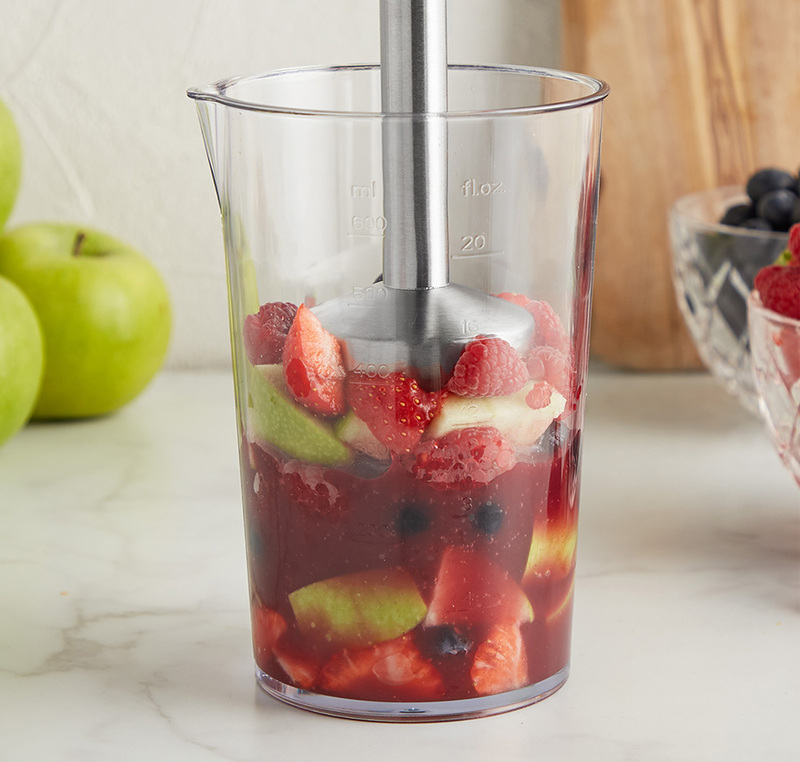 The VonShef 3 in 1 Hand Blender can make easy work of blending frozen ingredients, so introduce it to your kitchen and never again experience the guilt of sending innocent fruit and veg to the bin. Sure, you’ve spent many Sundays helping your mum peel potatoes - but have you ever wondered why? The skin is actually the most nutrition-dense part, packed with fiber, iron, Vitamin C and B6. It even tastes great too - so there’s no good reason to be peeling it off and throwing it away. In fact, the majority of fruits and vegetables have a peel or skin that is edible and dense with nutrition. 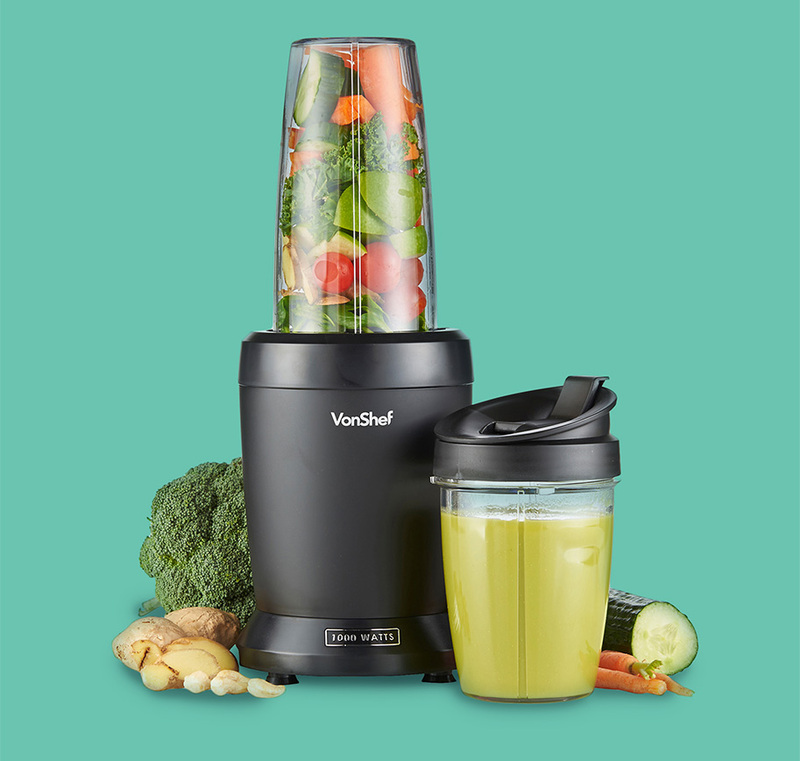 Even if it doesn’t taste good, like banana peel for example, try blending a little of it into a smoothie using a powerful blender like the VonShef Ultrablend - you won’t even notice it. If you’re regularly throwing away spoiled foods, why not take advantage of the long-life of canned products? Before you sneer at the suggestion of introducing more canned food to your menu, chew on this little known fact...canned fruits, vegetables and fish contain just as much nutritional value as their fresh counterparts. In fact, the pasteurization process they go through makes their fibre content more readily available for digestion - so they can actually be considered more healthy. If you don’t think canned food tastes as nice, that’s just because you’re not cooking it properly. 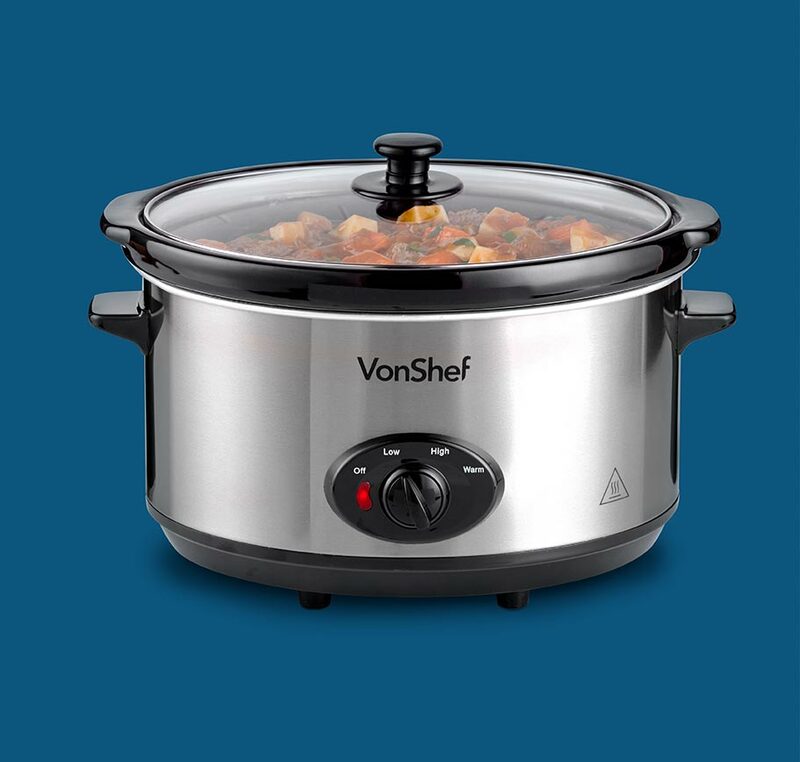 Try popping the canned ingredients for a vegetarian chilli into the VonShef Slow Cooker and leaving it to simmer for a few hours - it’ll taste so good, you’ll never looked at long-life food the same way again. Bacon leftover from breakfast? Use it in a BLT sandwich later. Leftover veg from a Sunday roast? 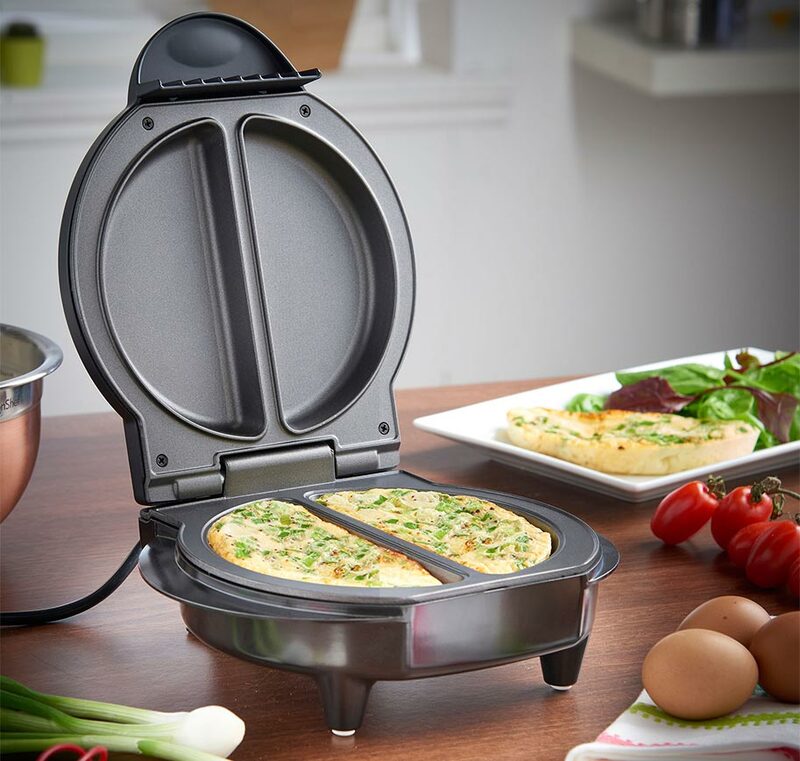 Grab a VonShef Omelette Maker and make a crispy bubble and squeak. Accidentally made a 5-person pasta serving when you only meant to cook for yourself? Mix it with mashed avocado and parmesan for a nutritious lunch tomorrow. You get the message. If your leftovers are always being left behind, all it takes is a bit of imagination to enjoy them again in a totally new dish. Before you sneer at the suggestion of introducing more canned food to your menu, chew on this little known fact...canned fruits, vegetables and fish contain just as much nutritional value as their fresh counterparts. In fact, the pasteurization process they go through makes their fibre content more readily available for digestion - so they can actually be considered more healthy. Shop smart. Prepare efficiently. Save money. Save the world. It really is that simple!